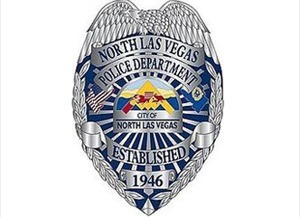 On June 25th, the Nevada Supreme Court overturned a decision by a lower court that would have reinstated a North Las Vegas police officer. That officer, Lazario Ruiz, was fired after he failed to report and then lied about an incident in which his brother argued with and then stole jewelry from another man. Officer Ruiz was present during the confrontation, which involved a brother-in-law, but also made no effort to intervene or prevent the crime. The court overturned the decision of District Judge Valorie Vega who had ruled the procedure was faulty in dismissing Ruiz for untruthfulness and unprofessional conduct. Ruiz was present when his brother Tony confronted Oscar Talamantes, a brother-in-law, over money in August 2009. After the argument, Tony Ruiz ripped two gold chains off the neck of Talamantes and fled. Talamantes reported a robbery to police. North Las Vegas officials maintained that Officer Ruiz was within 2 feet of the incident, never made a police report or made any effort to stop his brother. He maintained he did not see the encounter. During the investigation, Ruiz gave four statements that the city said were untruthful. An arbitrator admitted the four statements in his review of the case and ruled the dismissal was proper. Judge Vega held that the four statements of Ruiz violated the Police Officer’s Bill of Rights and ruled in favor of the officer to return to his job. The court ruled that there was substantial evidence to back the decision of the arbitrator and taht (sic) Judge Vega abused her discretion in ruling in favor of Ruiz. So, Judge Vega’s ruling aside, that’s a rare bit of accountability for the Las Vegas area police departments. To be fair, even the LVMPD has somewhat of a track record of firing cops involved in financial crimes. It’s just that killing people thing they don’t seem to be too concerned about. It seems “thuggery” runs in this family! A proven liar, and no sense of honor or integrity, but there will still be cops who think this is just fine. LE, choosing Team Blue over right and wrong at every opportunity. What gives with any judge thinking this is acceptable. If nothing else, his character is so easily challenged as to make him worthless in court. “A proven liar, and no sense of honor or integrity” you have just described every pig in the United States. Judge Vega should be the next to go. ahh, C’mon, just a couple of guys having fun. No harm no foul right?